Est. 1987, What makes Ian David Dry Cleaners unique among similar businesses is the personal service each garment is given and the attention to detail coupled with the impeccable finish it receives. 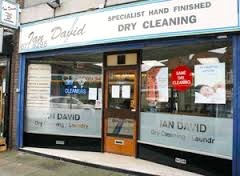 All dry cleaning that passes through Ian David is personally hand finished. New hydrocarbon machine available shortly.